A very interesting sketch for the Sketch Challenge today over at Splitcoast. I chose to use the same Cheery Lynn die I used for my card yesterday but in a completely different way. 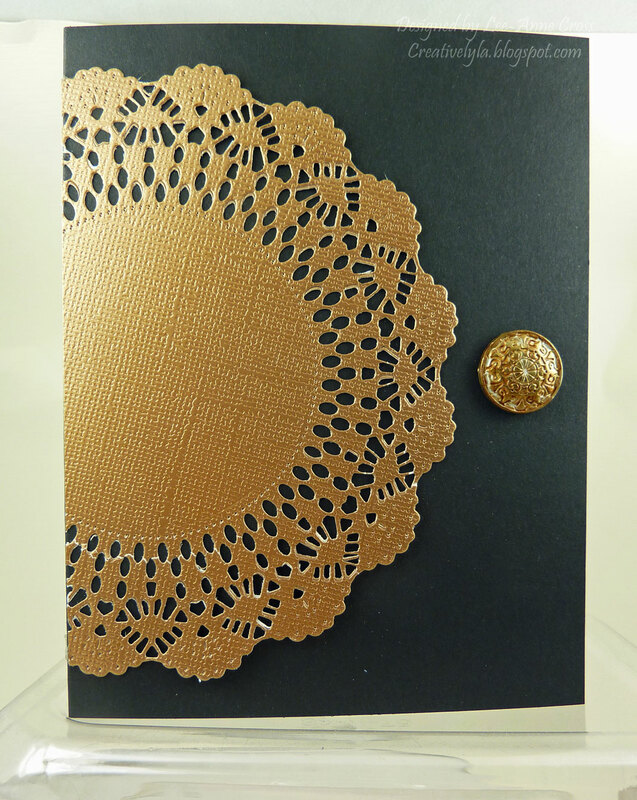 This is a very simple design, so I decided to use a metallic paper to really play it up. This is a simple A2 size card, again. The brad wasn’t the right color, so I used a Copic marker to color it. I also used my button shank remover to take the little prongs off of the brad and simply used an adhesive dot to adhere it. That way it doesn’t come through into the inside of the card. If you don’t have one, you can always back the front with another piece of cardstock to hide it. A very simple card today isn’t it? Have a great evening everyone!